Styling by Ruth Welsby, Photo by Martina Gemmola. 3. Don’t procrastinateYou know that voice inside your head that says “Just do it later”? The trick here is to avoid it when it comes to little tasks around your home. For example, when you see a messy surface, polish it up right there on the spot. By ridding yourself of minor messes as they arise, you are helping avoid a much larger cleaning task ahead of time. 3. The functional transformedA plain kitchen is given a lift with a carefully edited display of kitchenware on floating timber shelves. Hanging plants serve to soften the arrangement by breaking up the room’s sharp lines. 19. 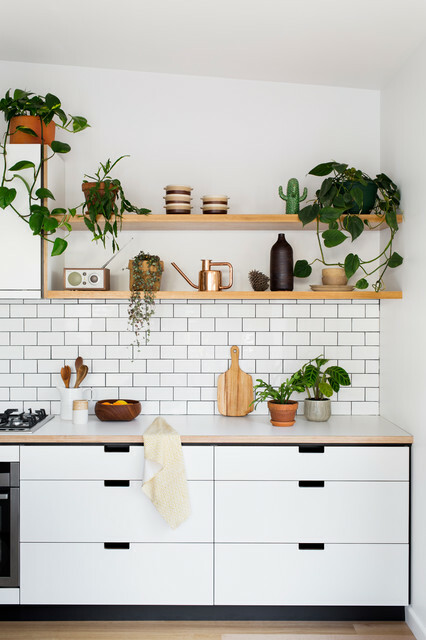 Location: Melbourne, VictoriaDesigner: Cantilever InteriorsFeatures: Subway tiles with dark grout tie in nicely with the black-and-white colour scheme of this kitchen, with plants adding life and greenery.